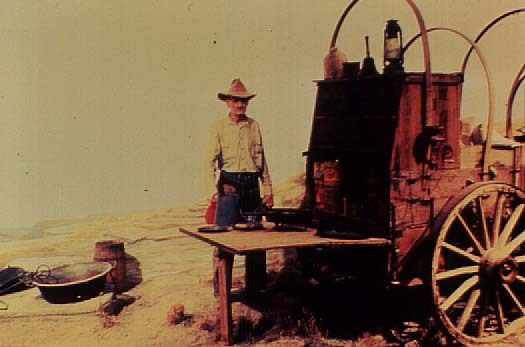 Established in 1933, the Panhandle-Plains Historical Museum is dedicated to the hardy settlers of northwest Texas and to the preservation of that heritage. It is the largest history museum in the state of Texas. Construction of Pioneer Hall began in 1932. Finished in Texas limestone, the original structure features fine decorative stonework and carvings depicting western themes and Panhandle fauna in its facade. More than one hundred famous West Texas cattle brands in glazed sandstone surround the entrance. This building bears a State Antiquities Landmark designation awarded in 1983 for its unique Art Deco architectural style. The Panhandle-Plains Historical Society, as founder and sponsoring organization of the Museum, owns all the collections and oversees their care and maintenance. Established in 1921, the Society took as its mission was "to collect all the relics and history of the Panhandle and to place them in a fireproof building under the care of a capable guardian." Through the vision of these early Society members, and with the continuing efforts of today's Society, the Panhandle heritage, its people and its culture have been preserved for future generations. From Dinosaurs to Conquistadors, from Cowpokes to Oil Folks, from Buckboards to Old Fords, from Indian Lore to Guns and More...see it all at the Panhandle-Plains Historical Museum. 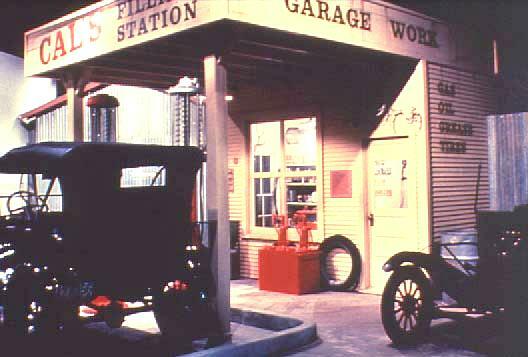 See a real cable tool drilling rig, a working pump jack, "down hole tools" in action; or experience a feeling of nostalgia at Cal's Filling Station (complete with hand-operated gas pump and Model-T Ford) just as it existed in the 1930s. Follow the board sidewalk of Pioneer Town for a look at life in a small Panhandle community in the early 1900s. A rancher's home, a livery stable, saloon, blacksmith shop, school, millinery shop and more are all filled with authentic domestic and commercial articles. Sam Wood's cabin built in 1887 and Charles Goodnight's log cabin built on Mulberry Creek in 1881 have both been reconstructed as part of Pioneer Town. Learn about Texas Ranching...from the arrival of cattle in North America in 1493 to the modern cattle industry of today. Guns, saddles, an outfitted chuckwagon, photographs and documents detail the daily lives of cowboys on Panhandle ranches. Become acquainted with the lifeways of the Native American of the Southern Plains. Displays and dioramas trace the history of the Comanche, Kiowa, Arapaho, and Cheyenne nations from the 1700s through the modern era. 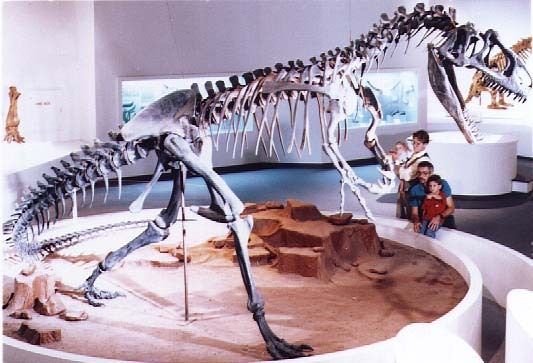 Explore the history of the Texas Panhandle in the Paleontology and Geology area; or view examples of plant and animal life in their natural habitat displayed in the Natural History area. Let your imagination soar as you wander through the transportation exhibit illustrating the many methods used to travel the Texas Panhandle. See buggies, sleighs and wagons from the nineteenth century as well as automobiles from 1900 through the l950s. Visit the Arts Wing featuring textiles, furniture, fine arts and decorative arts. Changing exhibits utilize the Museum's textile collection to illustrate a variety of themes. Chippendale, Hepplewhite, and Belter style furniture from the 15th through the 20th century also are exhibited, along with examples of art glass, ceramics, and metalware. View one of the finest art collections in the Southwest, exhibited in five galleries. The Museum's permanent collection is featured in the galleries devoted to American, European and Texas art. Changing exhibitions focus on historical art including paintings, art objects, furniture and photographs. Researchers will be delighted at the large collection of published works and manuscripts dealing with history, genealogy, art, archeology and many other topics in the Museum' s Research Center. Don't miss the Bob Wills Memorial Archive of Popular Music displayed there. All this and more await visitors to the Panhandle-Plains Historical Museum. 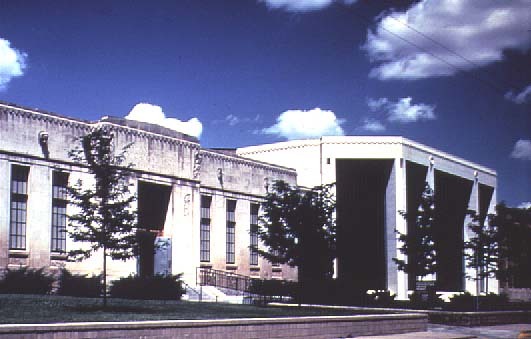 Located on the campus of West Texas A&M University, it is the oldest and largest museum of its kind in the state of Texas. With entire sections dedicated to petroleum, western heritage, paleontology, transportation and art, the PPHM is really five museums in one. Collections include art, archaeology, ranching art, textiles, transportation and natural history. Pioneer Hall. 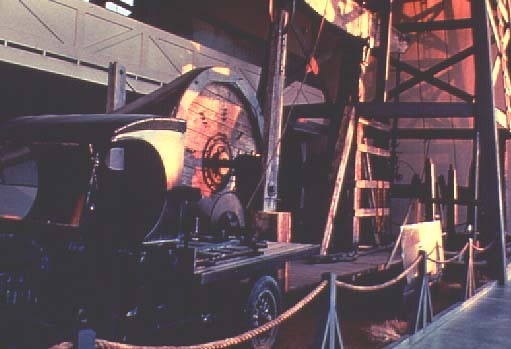 Petroleum Wing. Ranching Hall. Indian Hall. Western Art Galleries. During this $6.1 million renovation project, Pioneer Hall will be transformed into a friendly and informative orientation space that will serve as an introduction to the Museum itself and a gateway to the history of the Panhandle region. The adjacent area will house the new exhibit People of the Plains: Experiments in Living. An imaginative new exhibit, telling the tory of 14,000 years of human occupation of the Southern Great Plains. Artifacts and information will be arranged topically, with major sections devoted to food, water, shelter and clothing. The story will explore the areas of trade, creativity, and cultural transmission. The new exhibit areas will create an engaging, educational experience that offers a diversity of perspectives, a variety of hands-on activities and a dynamic continually changing presentation of the Museum’s exceptional collections. The Museum’s Annual Open House, with Santa in an antique sleigh, role players and musical entertainment. Cable Tool Drilling Rig c. 1925.